“Coffee Time” measures A5 or 5.75×7.5 inches. I did a quick sketch with pencil and then used a couple of fountain pens filled with Noodler’s Black. 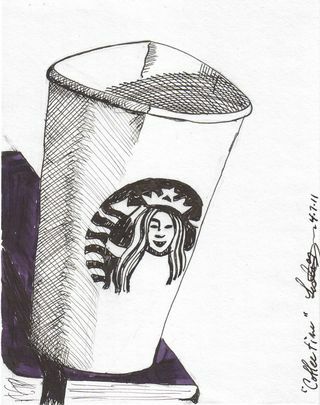 This entry was posted in Uncategorized and tagged daily, day, draw, drawing, ink, pen, sketch on 20110408 by leslie.